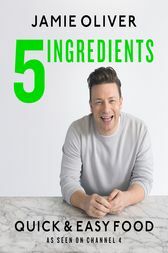 Jamie's most straightforward cookbook yet . . . It's perfect for quick and easy meals for every day of the week. Even the busiest of us will be able to master dishes to bring the house down! Jamie's CHANNEL 4 series Quick and Easy Food is BACK on Monday nights at 8pm, find all the recipes . . . and more inside.